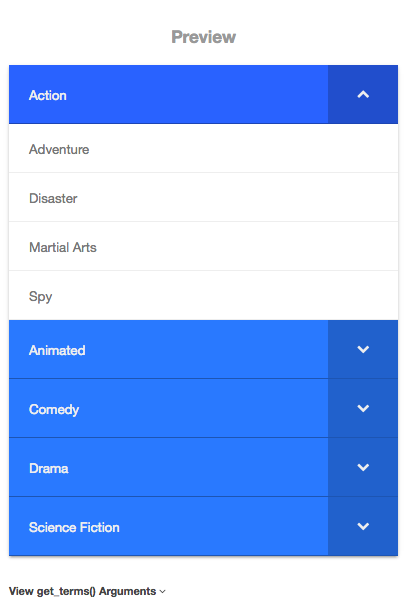 You can auto-generate an accordion menu based on your Categories or hierarchical custom taxonomy terms (note that standard tags are not generally useful as they are not hierarchical – one tag cannot be the parent of another). 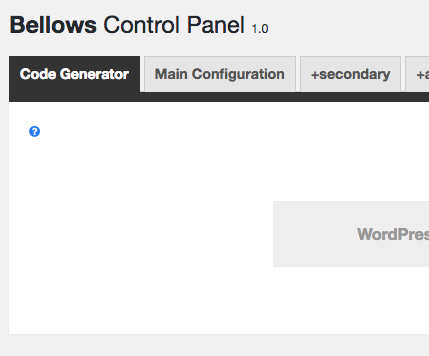 In the Code Generator interface, use the settings on the left to filter, restrict, and organize your Terms query. 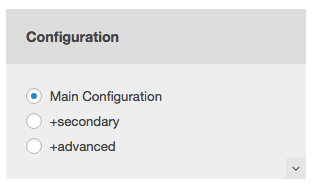 Hint: For those familiar with WordPress development, you are configuring a WordPress Terms query. 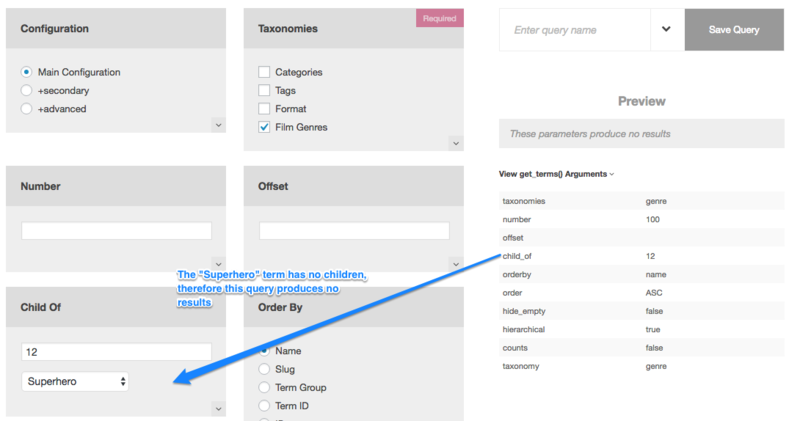 It’s very similar to a Posts query that you might use in the Loop, except for taxonomies. Select the taxonomy from which to generate terms for this menu. 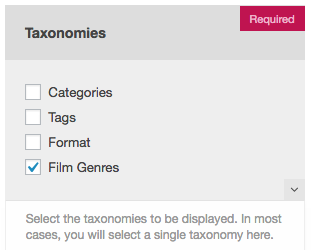 In almost all cases, you will select a single taxonomy. 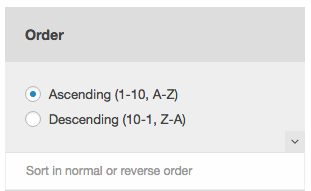 The maximum number of terms to return. If you were to set the offset to 2 and the number to 5, terms 3-8 of the result set would be returned. 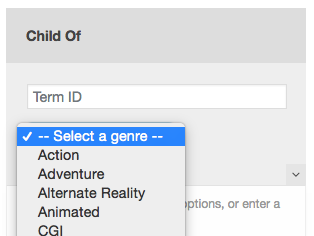 Set this field to only show descendants of this term in the menu. 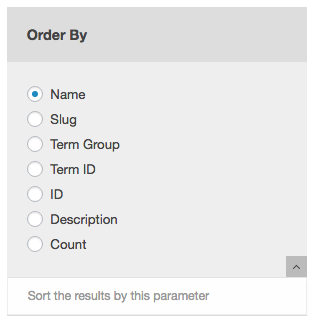 After you set a Taxonomy, the options here will be populated for you to select. 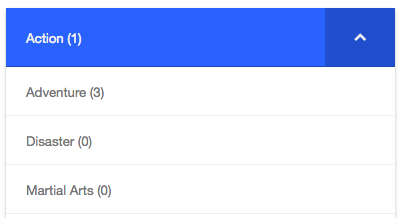 This determines how the results are sorted. 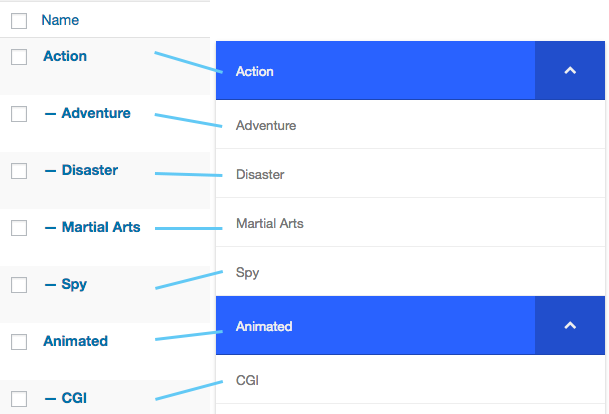 Use “Name” to sort the terms alphabetically. 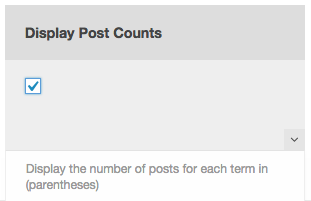 “Count” can be useful if you want to show the most-used terms. 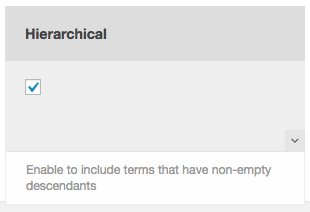 Keep the Hierarchical setting enabled to include terms that may not have any posts assigned directly to them, but which have non-empty descendant terms. 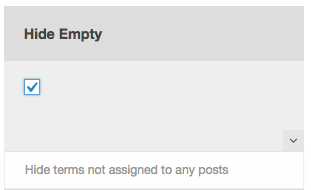 Enable this setting to show the number of posts assigned to the terms beside the term names in the menu. If you set up a configuration that returns no preview, you can expand the “View get_terms() Arguments” to see what’s being passed to the query and check your settings.